If you even remotely follow the NBA, you can’t avoid the conversation. LeBron James and Michael Jordan are two of the most prolific professional basketball players to ever play the game. Both hold statistics that are staggering and put them in a category above even an elite grouping of Hall of Fame players. For some this begs the question: Who is the greatest of all time? In the business world, a manager would jump at the opportunity to have either superstar on their staff. That level of personal talent would immediately raise your team to a new level. The reality is, elite talent (especially at LeBron or Jordan’s level) is difficult to find. It is more likely that your company is going to be in a situation where the available individual talent is competent but not dominant over the challenges ahead of them. The potential for not performing well is real. Under the right situations, the team may even fracture with devastating consequences. If truly elite talent is rare, leaders (and teammates) need to focus on developing the potential that is more common. Train those who are willing to learn. Invite those who are not to leave. Strategize to allow staff to swim in their strengthens and minimize the exposure to their weaknesses. Create a culture that attracts talent to your organization and move forward with a purpose. With a little luck you might find your team considered one of the best, even outperforming other very talented teams with a LeBron James. Congratulations to the Golden State Warriors on a great season and an NBA championship. Matt Penney is director of parking and transportation services at Baylor University. 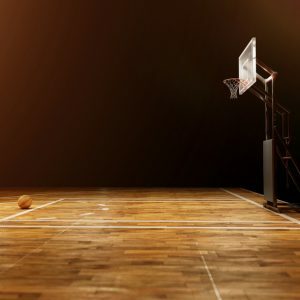 I really appreciate your blog Matt as there are so many important parallels between what we learn on the field or court and that which happens in the office. Teamwork, perseverance, hard work, integrity and the list goes on and on. I’ve also struggled with GOAT comparisons but I’d like to through out another name for consideration. How about John Stockton? Can’t greatness be measured by what you do for others?